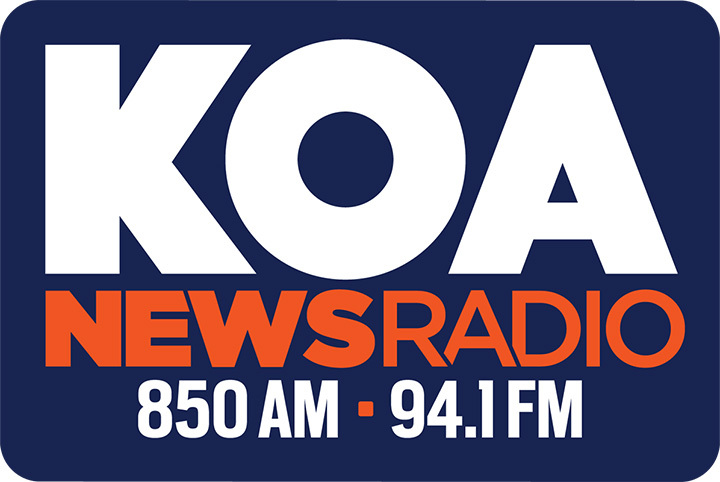 BS Filmworks co-directors Scott Takeda and Lori Kay Allred with KOA NewsRadio’s Ed Greene in KOA’s studios. Takeda and Greene are long-time colleagues from their days working at CBS-4 in Denver. They talked about his career after News-4 and then about his latest film, co-written and directed with filmmaking partner Lori Kay Allred. Click on the image above to see the interview. They said the film shows how injury happened and delves into Takeda’s last-ditch decision to try medical cannabis to treat the debilitating symptoms. They also joked how Parente was going to help them get into Sundance Film Festival. Click below to see the interview. Three quick updates. First, we’re popping the champagne for our 2017 short film “The Outsider” after learning the 25th Annual Sedona International Film Festival named it an official selection. This nine-day festival is a regular stop for many top independent films. This year, Sedona’s program includes Oscar-nominated films “If Beale Street Could Talk” and “Cold War.” Director Scott Takeda and producer Lori Allred will attend the two screenings later this month. 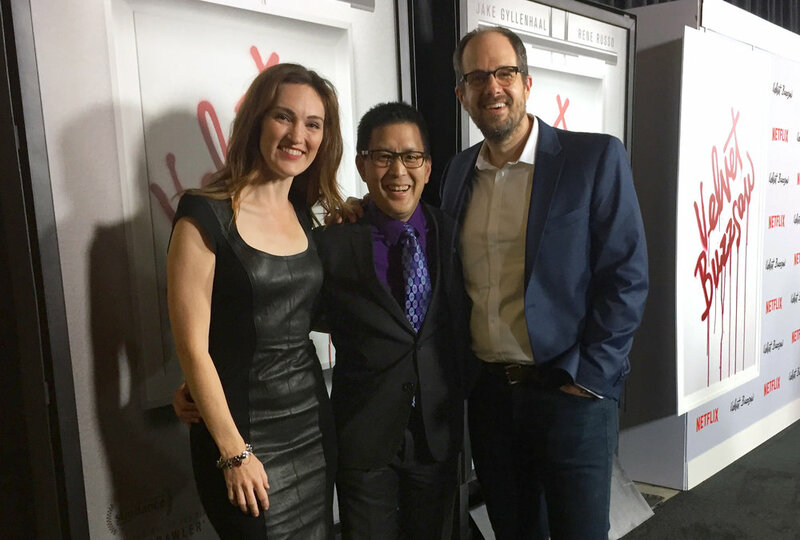 BS Filmworks director Scott Takeda walks the carpet of Netflix’ “Velvet Buzzsaw” with actor Kristen Rakes and “Remembering Us” lead actor Mike Ostroski. Second, Takeda also recently attended the Hollywood screening of Netflix’ “Velvet Buzzsaw” at the Egyptian Theatre. He was a guest of “Remembering Us” lead actor Mike Ostroski and frequent BS Filmworks actor Kristen Rakes. Both costar in the film opposite Jake Gyllenhaal, Rene Russo and John Malkovich. The film just premiered at Sundance and is directed by the Oscar-nominated Dan Gilroy. 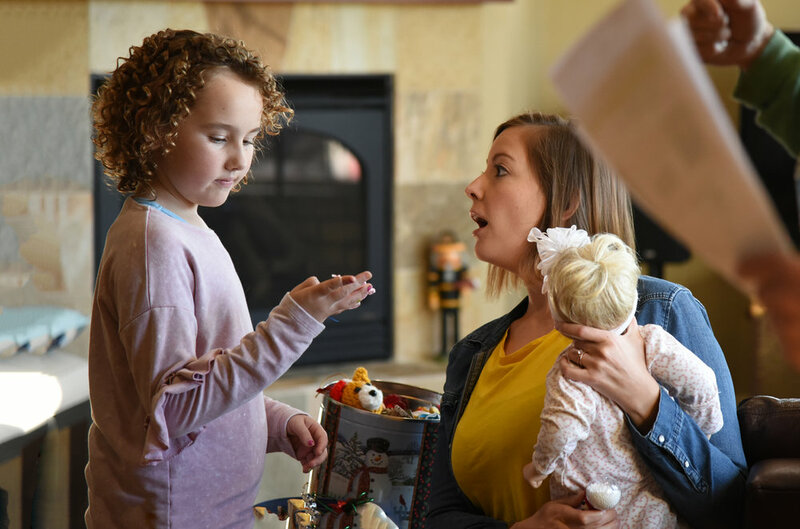 And third, Ostroski appears this weekend in a Super Bowl commercial for Pampers. He plays a backup singing dad to John Legend and Adam Levine. Ostroski is in the back row, third from the left. Congrats Mike!